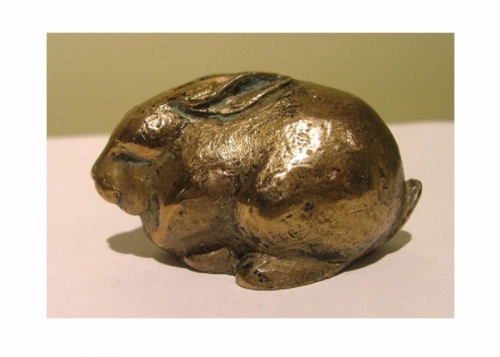 TIny bronze rabbit. 2 inches long and one high. Very sweet to hold in the hand or set on the shelf.